Well, it was another round of trying to teach my son stuff but, it is much like his mommy–he likes to learn on his own & he is a stubborn child. I am excited that we will have the real cable back soon & that we will have GOOD internet so that I can get the Learning App he likes on my phone so he can sit and play with it & learn that way. I tried to teach him some stuff but, he doesn’t seem interested. I think I may have to print it off and just let me flip through some of the stuff. Although, right now, he is coloring me a green apple so, we’re on our way to something but, just a little bit at a time, I supposed. 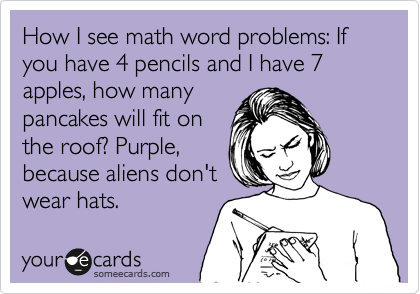 Although learning isn’t as easy to teach kiddos as I had hoped–I supposed it’s like my sister trying to learn football and thinking PURPLE–see image below. So, it’ll just be a slow process of trying to get him to understand different things but, for now, he does know his colors. He can count (if he chooses to) up to 10. He can make himself and his brother a sandwich. He has learned how to pour his own milk (if it’s not too full). He can dress himself and loves to help take care of his younger brothers. I think he is excelling in all areas, it’s just going to take a little bit of time to teach him some other things. And that’s okay. There’s no rush for my big stuff to grow up, I just have to realize that he is as stubborn (if not more stubborn) than his mommy (my own fault) and it’s a good thing. Just a pain sometimes–poor mom.